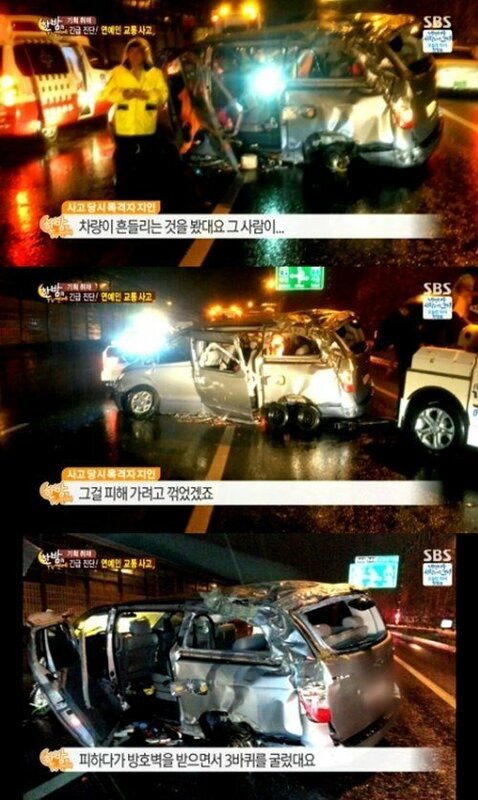 On September 17, SBS's 'One Night of TV Entertainment' covered Ladies' Code's car accident, receiving witness accounts from people who were present at the scene of the accident as well as statements from experts. An acquaintance of one witness disclosed on the program, "He says he saw the vehicle shaking. �To avoid [an accident], they must have veered. �He says while [the car] was [veering], it hit the protective wall and rolled over three times." An ambulance worker who had gone to the site stated, "[At the site], about two or three men were signaling with their hands. �Overall, the vehicle of the accident was crushed and one of the rear wheels was out." The experts deemed that the rear wheel must have fallen out because there had been a problem with maintenance or it had gotten damaged through excessive use of the car. 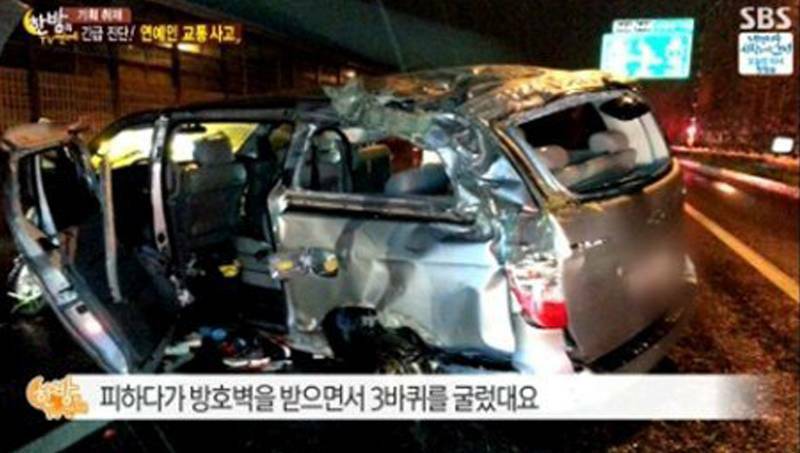 They analyzed that the reason behind the accident may be due to a flaw with the car itself. One expert stated, "What is important is whether they were wearing a seatbelt and where they were positioned during the accident." The ambulance worker stated, "While saving the lives of those who were collapsed after going out to the site, I do not recall undoing any seat belts."